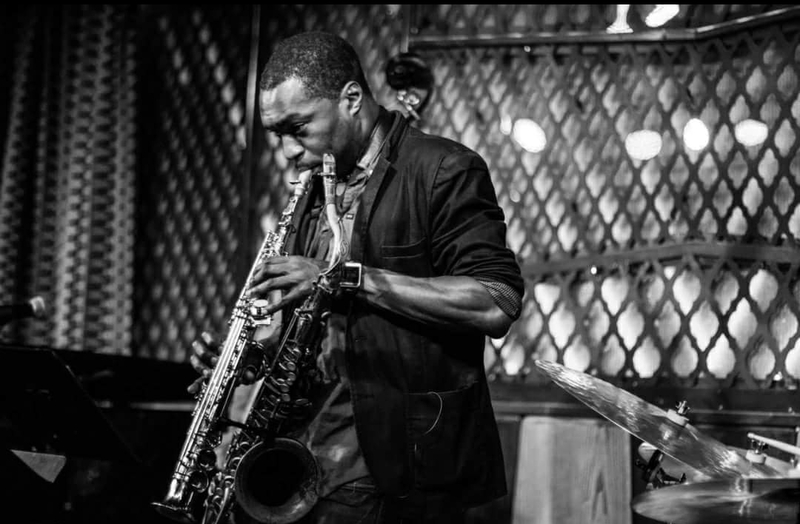 “A young saxophonist of serious promise” (Ben Ratliff, The New York Times), Stacy Dillard has caught the attention of many with his large and rich tone, developed ideas and accurate technique. He is a perfect example of the fusing of tradition and innovation, the combination which keeps everything fresh, exciting, energetic, therapeutic, and more importantly, REAL. His sound is big, brawny, and surging in the manner of tenor masters Sonny Rollins and Joe Lovano. His music covers a few distinct stylistic bases–hard bop, post bop, the early days of fusion (circa 1968/’69). When Stacy plays at Black Cat, he is supported by Bay Area jazz greats. Stacy Dillard plays regularly at NYC’s jazz institution, and has played with Winard Harper, Cindy Blackmon, Lenny White, Norman Simmons, Frank Lacy, Wycliffe Gordon, Eric Reed, Roy Hargrove, Stephon Harris, Ernestine Anderson, Terrell Stafford, Herlin Riley, John Hicks, Frank Wess, Mulgrew Miller, Clark Terry, Victor Lewis, Steve Wilson, Johnny O’neal, Antonio Hart, Russell Malone, Lewis Nash, Mark Whitfield, the Mingus Big Band, and a host of others in different genres of music, including Shirley Ceasar, Alex Bugnon, Stephanie Mills and Pete Rock & C.L. Smooth. Stacy Dillard leads three bands of his own – his genesis project cPhyve, cPhour – which is stylistically similar to cPhyve, and r&b/funk/hip-hop oriented The Other Side. See him live this week, at Black Cat, with his West Coast Collective. Book your tickets now!